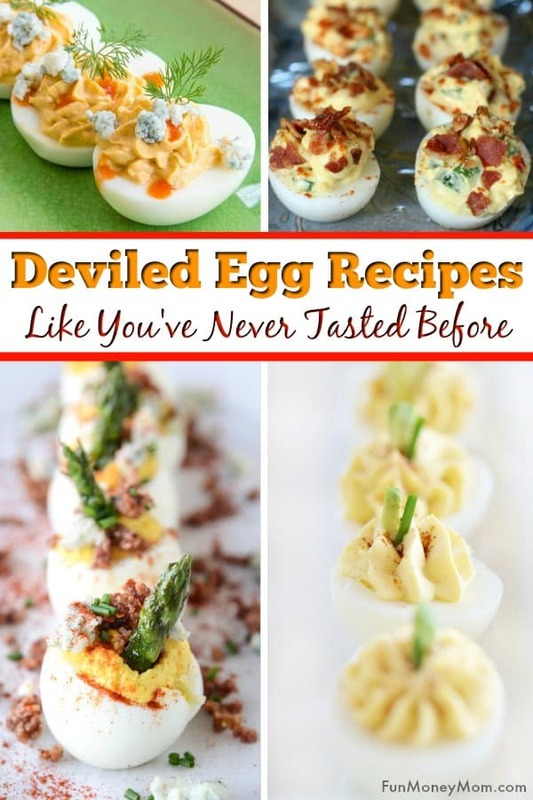 Want to make deviled eggs for your next get together? With ingredients like bacon, blue cheese, pesto and avocados, your only problem will be deciding which deviled egg recipe to make first! 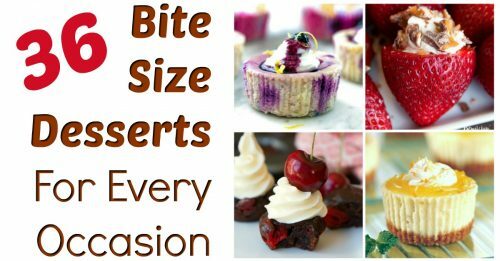 I love making party food, especially bite size foods. They’re just fun, don’t you think? 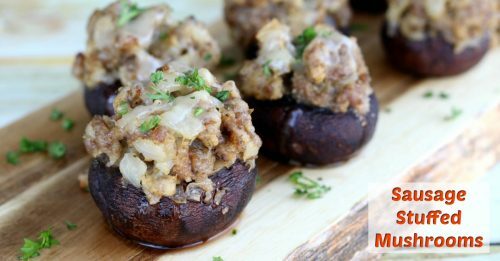 I’ve made everything from bite size stuffed mushrooms to shrimp appetizers and they’re always a hit. Love jalapeno poppers? 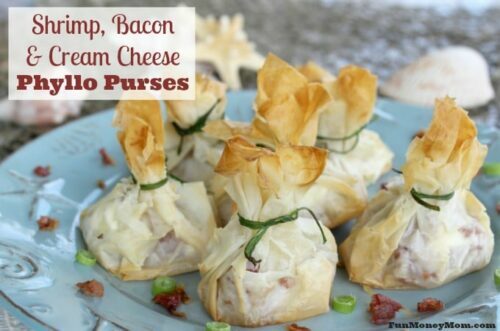 I’ve got you totally covered with these Cream Cheese, Cheddar & Bacon Jalapeno Poppers! 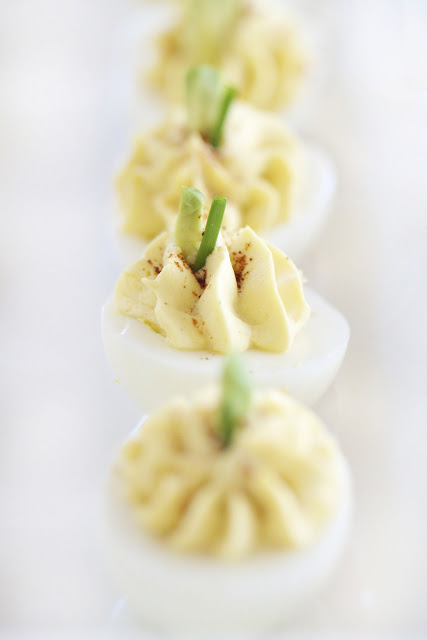 One party food you can never go wrong with is deviled eggs. 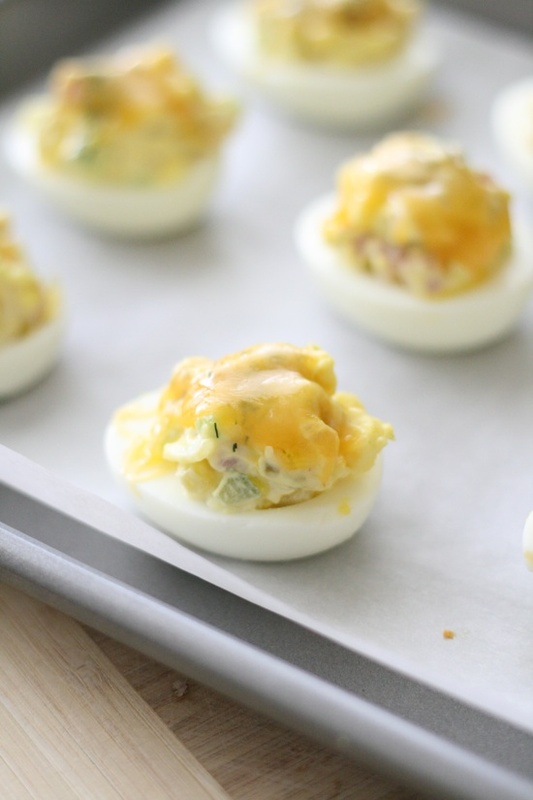 When you make them, you’ve pretty much hit the jackpot of party foods and my new favorites are these Avocado Deviled Eggs with Blue Cheese And Bacon! 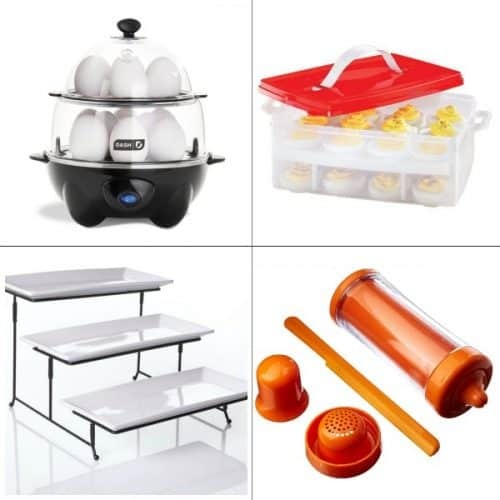 Plus, they work for any occasion…a parties, tailgating, or even a picnics at the beach. With ingredients like bacon, avocado, pesto and more, you can’t go wrong with any of these awesome recipes. 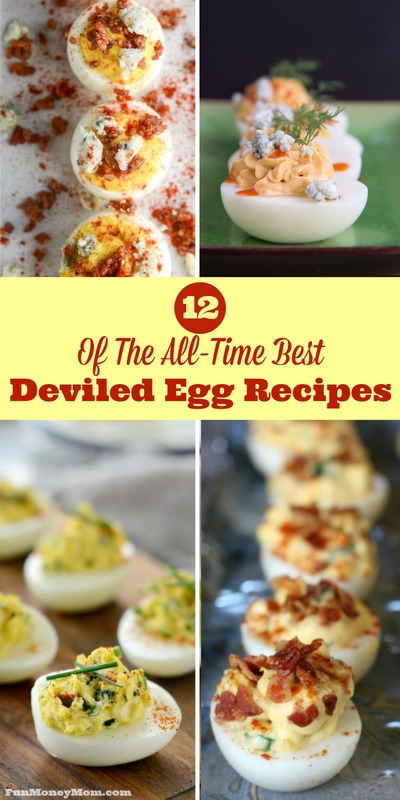 This is the most classic deviled eggs recipe on the list and you can never go wrong with traditional right? If you’re short on time, you may want start with this Easy Recipe from Six Sisters’ Stuff. 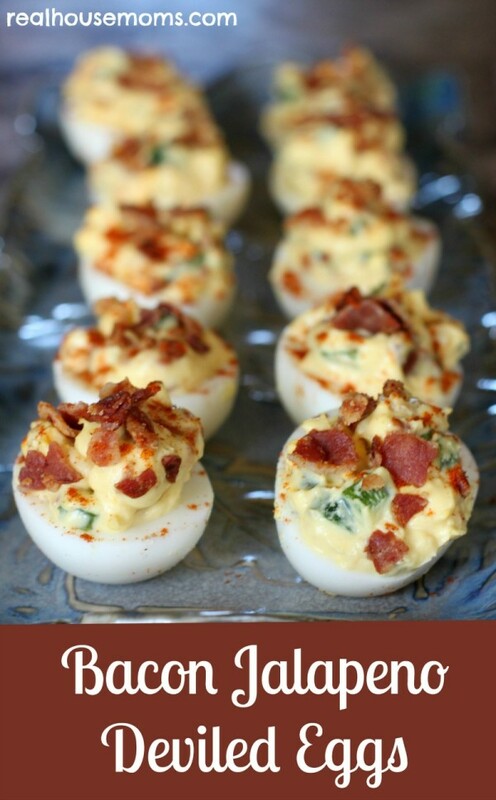 I’m dying to try these Bacon Jalapeno Eggs from Real Housemoms. Everybody loves bacon (I’m always shocked when I hear a random person say they don’t!) and I love the idea of adding jalapenos to spice it up a little. 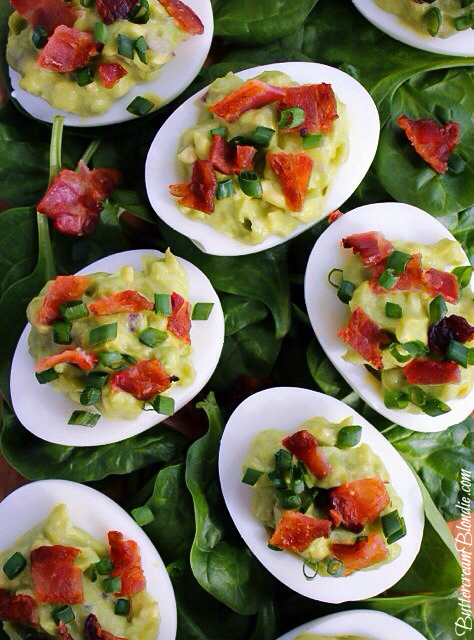 I have never tried avocados in my deviled egg recipes but something tells me it’ll be good! 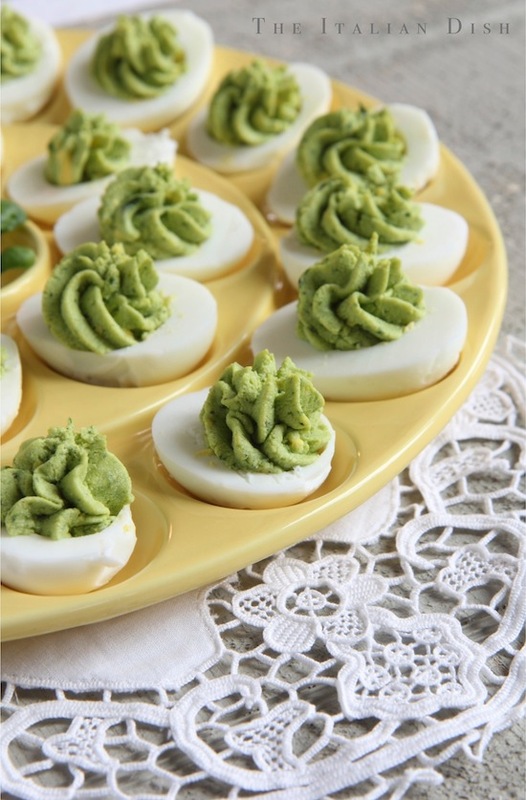 I think I’m going to have to try these Avocado Deviled Eggs from Buttercream Blondie. My hubby loves buffalo wings and I think he’d be a big fan of how Cupcakes And Kale Chips brings the two flavors together in these Buffalo Blue Cheese Deviled Eggs. 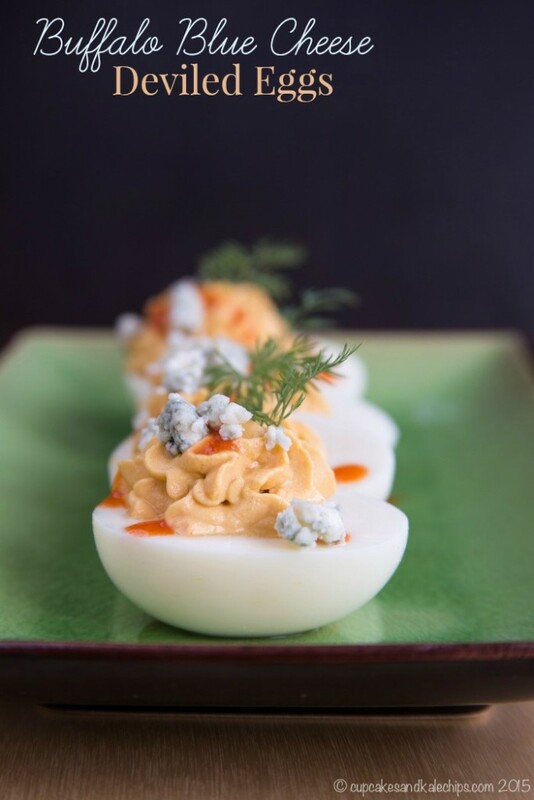 I would never have thought make Cream Cheese Deviled Eggs but Epicurean Mom gave it a try and sound delish! 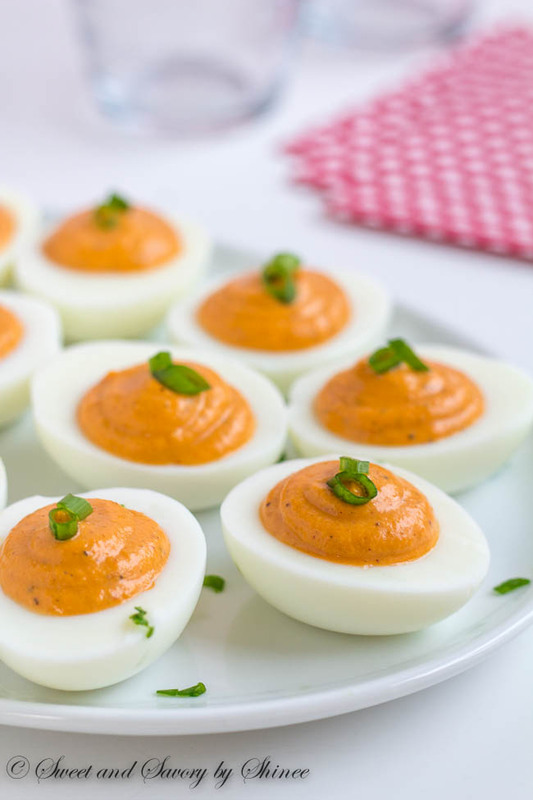 These Roasted Red Pepper Deviled Eggs from Sweet And Savory will stand out from the crowd. This is another ingredient I wouldn’t have thought to add but I’m glad someone did…now I’ve got to try it! 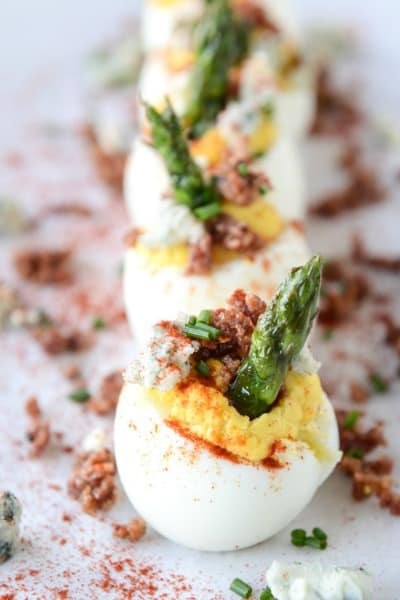 These Bacon Blue Deviled Eggs With Roasted Garlic And Asparagus from How Sweet Eats are almost too perfect to eat! You’re guests will be pretty impressed when they see these on your table. 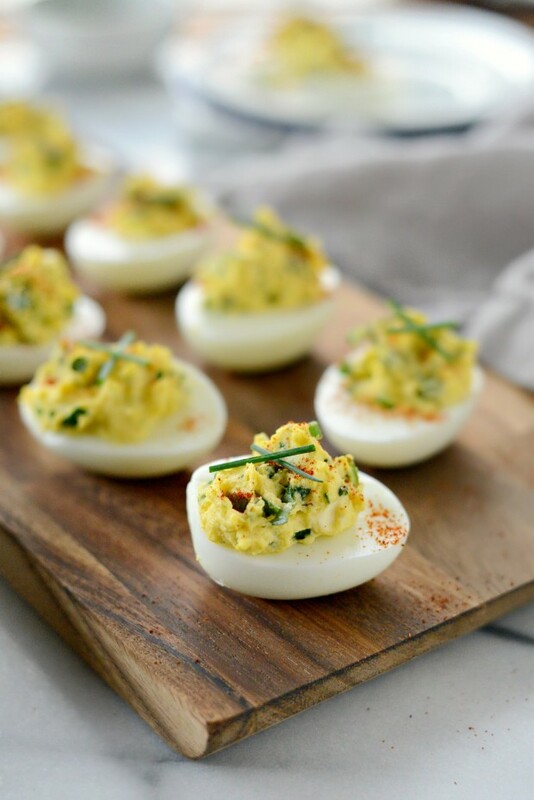 These Herb & Goat Cheese Deviled Eggs from Simply Scratch take this party food to a whole new level. 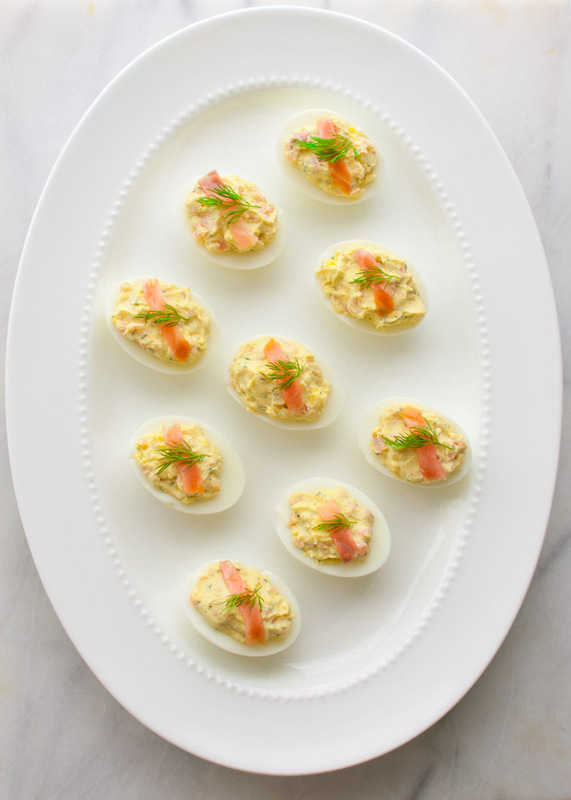 Taming Of The Spoon used salmon as an ingredient for her Smoked Salmon Deviled Eggs. I think I’d swim upstream for these! I can only imagine how good these Ham & Cheese Melt Eggs from Lauren’s Latest must taste when they’re fresh from the oven! Check out this video from Food Network for the easiest ever (seriously, you won’t believe it) Square Eggs! It’s brilliant and I don’t know why no one’s thought to do it before! 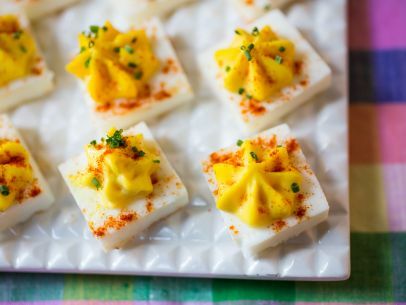 Do you make deviled eggs for your parties? Which of these recipes do you want to try first? Want more delicious party recipes? The ones with bacon look the best to me. Yum! Luckily I love boiled eggs. I’m eating the as they are for breakfast and snacks. I’m not tired of them yet! What a fun array of recipes! We love “angeled” eggs over here! 🙂 Thank you for sharing! I have found you via Coffee and Conversation. I had kind of forgotten about deviled eggs and remembered how good they are when I had them for Easter. Now I’m wanting to make them more often! 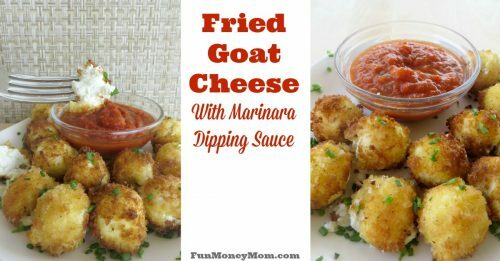 Those Buffalo Blue Cheese ones sounds especially interesting. I want to try them! 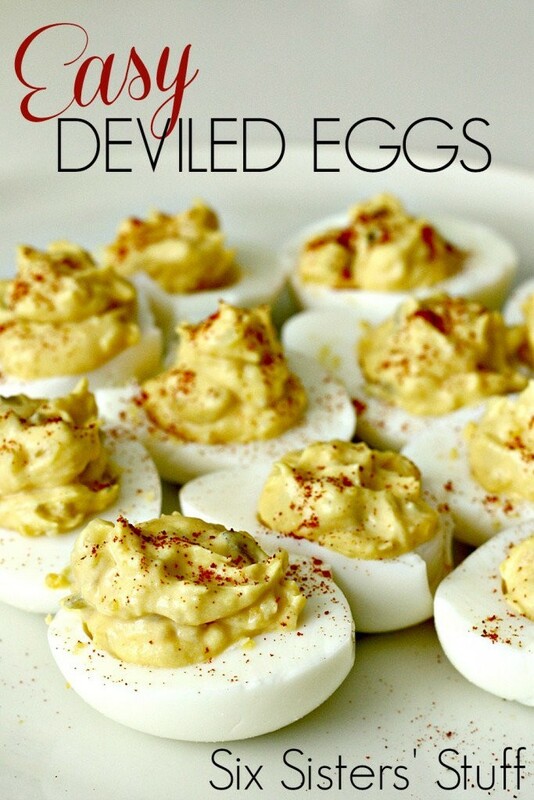 WHAT ON EARTH IS THE DEAL with deviled eggs?!?! They are just SO DANG GOOD in ALLLLLLL varieties! I just can’t believe there are so many delicious recipes just for eggs… I am definitely surprised. These are all a must try. Thank you for putting this great compilation together Lisa! You might also enjoy this post from JoyfulSavings: How to Save even Without Coupons! Thanks Jacky, I’ll have to check it out. I’m really bad with coupons so this may be just the article for me! Seriously love this collection of recipes. I’m pinning it so I have it ready for my next pot luck.